First, we attempted to discover why this was happening and we found that our fabricators were working very slowly. Company - as shown above - is an essential model in our project and we use it in every spec example. Company has a lot of associated ‘documents’ and it means that we fabricate these each time we call create(:company) in specs. 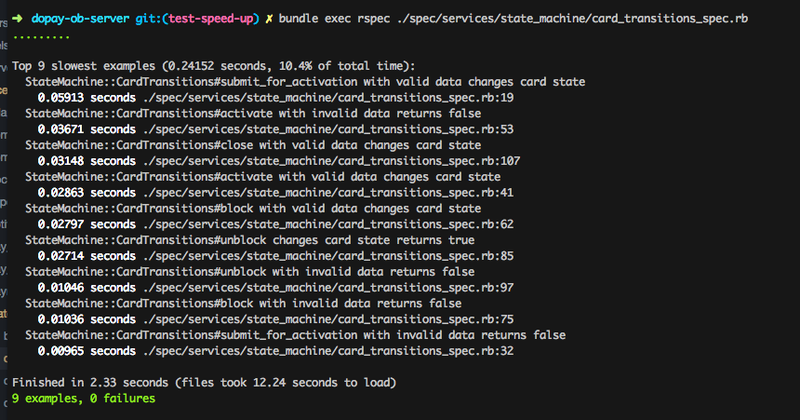 Hmm… Wouldn’t it be cool to fabricate company at the beginning of the specs and use it in each example? You may ask what is the AnyFixture class? Big thanks to Vladimir Dementyev for this solution. You can find the full class implementation here. Basically, it’s just a class with methods that tracks which tables were affected and clean db after test run. In fact for one file our speed grew by 18 times. Perfect result! Also, another issue we experienced was with signing users in spec. By default we use base cryptoprovider to encrypt our users’ passwords, and these provide a strong level of encryption. But do we need it in specs too? 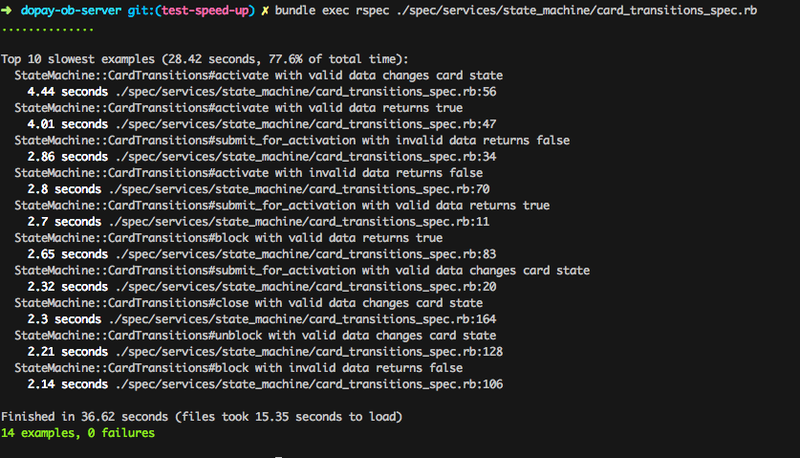 So in specs we started to use a simpler cryptoprovider and the tests became 3 times faster.